The spotlight is on the stage. The crowd is divided in colors. They chant, they cheer, and they jeer as their champion puts on a show. They’ve seen this before, but it doesn’t dull the excitement. Catchy lines, below the belt jabs, and the much anticipated signature moves still evoke enthusiastic applause from fans who have already chosen a side. I happen to be one of the biggest wrestling fans that I know. Even when wrestling companies no longer hid the fact that their shows were choreographed and scripted, we fans still enjoyed the mix of athleticism, conflict, and storylines. We applauded the entire spectacle. But the scene I described wasn’t of a wrestling match; they were acts that unfolded during our PiliPinas 2016 debates. Propose a good policy measure and the venue remains silent, probably unimpressed. But throw a personal jab or ask a question that makes a candidate squirm and the audience erupts. In that sense, what stood out at our debates weren’t the contents of what was said but the manner in which they were said. The delivery and the showmanship won the crowd, just like in wrestling. I’m not the only one who has said this. A lot of people who watched the debates commented that it had a wrestling vibe, given the decorum of the crowd and the booing candidates had to speak over to say their piece. It’s fun cheering for your champion and the debates were definitely high on entertainment value. But it fell short on being a medium to get to know more about the candidates – their motivations, their reasons for running, what they offer to us, the Filipino people. Much less so, the candidates had a difficult time sharing their plans in solving longstanding and complicated issues that have plagued our country for decades. It was a struggle for candidates to express what they stand for, what they believe in, what they’re fighting for, and what they want to do for the country within the allotted time limits. Candidates were challenged to cram an ocean into a jar, fitting solutions to complicated problems, like the Internet, agriculture, education, and the West Philippine Sea dispute into 60-second bits. If you notice, most were only able to get to a very superficial layer and a lot of the answers would sound similar because it’s in the second and third levels of detail that usually reveal their knowledge and true stance on the issue. As a voter, I wanted to get to that kernel of truth in each candidate and see if I could resonate with that person. I wanted to find out whether our candidates share the same hopes and dreams I have for my country. But I have yet to find a debate format in these elections that enables this, rather than hinders it. As campaigns came to a close, Filipinos were left to their own devices in sifting through the smoke and mirrors and getting to the core of each candidate, their platforms, and their policies before casting their one significant ballot. Still, I am hopeful that smarts, ability, selfless intentions, and genuine love for the country has shone through, if only in glimpses, throughout the campaign season and that Filipino voters elected the leaders our country needs. We are finally making headway in locating portions of the $81 million stolen from Bangladesh and siphoned into the Philippines. So far we have confirmed that Solaire Resort & Casino received P1.365 billion ($30 million) and Eastern Hawaii Leisure Company, owned by casino junket operator Kim Wong, received P1 billion ($23 million) of the stolen money. Based on money transfer firm PhilRem’s testimony before the committee, it was alleged that around $30.64 million, broken down to $18 million and P600 million, was delivered to Weikang Xu over 6 tranches. It was only during the Senate hearing last March 29 that we were able to dissect further the location of a portion of the stolen money with the testimony of Kim Wong. Wong contested PhilRem’s testimony and claimed that they only released P400 million and $5 million over 4 tranches. Wong also testified to receiving P1 billion from Philrem: P450 million ($9.7 million), which he accepted as payment for a debt of one Shuhua Gao, and P550 million entered to Midas Hotel and Casino. However, of the P550 million, P510 million was lost to Midas and only P40 million is left. Since his statement, Wong has already turned over P38 million ($863,000) and $4.63 million to the Anti-Money Laundering Council (AMLC) for safekeeping. He has also stated his willingness to return the P450 million or $9.7 million paid to him to cover Gao’s debt, but requested for a month to deliver. Today, a total of about $5.5 million has already been reclaimed from Wong. And once he is able to return the additional $9.7 million, we will have recovered $15.2 million of the $81 million stolen from Bangladesh. On the other hand, PhilRem offered to return the P10.47 million (about $232,000) representing the fee they purportedly received for conducting the transactions. However, this was rejected by Bangladesh. In the case of Bloomberry Resorts, operator of Solaire, they’ve stated that they were able to freeze $2.33 million or P107 million of the stolen money in their casino – another amount we can add to the pot for Bangladesh, should they agree to turn it over. We will continue to probe the money trail through Solaire and will seek to verify if there is still recoverable dirty money in Midas. Plus, there is the issue of the other junket operators that are still in the process of confirming receipt of over P1 billion from Solaire. In the next few weeks, we should be able to pinpoint the rest of the illicit funds so we can return as much as we can to Bangladesh. The AMLC already said that it is within their powers to reclaim money that is laundered ‘regardless of where the money went. However, they would need to go through a court process and the necessary legal proceedings, which will inevitably take time. The question is whether these institutions will contest a possible civil forfeiture of laundered money still within their coffers. If I were them, instead of fighting the court case, I would, in good faith, turn over to the AMLC all illicit funds that coursed through their internal systems. “Yung maduming pera, dapat ibalik,” said Wong. We can hope everyone shares this sentiment. This flagrant crime perpetrated in our shores with the involvement of Philippine individuals and institutions has tarnished our country’s reputation and now the world is watching our every move. A crucial step in redeeming ourselves is to return as much of the stolen money to Bangladesh at the soonest possible time. Are you following the investigation of the stolen $81 million from Bangladesh? Whose story do you believe? What questions would you ask the resource persons? Boardrooms, dinner tables, and coffee shops are abuzz with theories explaining the $81-million heist, which involved funds of the Bangladesh central bank being transferred to local RCBC accounts and eventually into our Philippine casinos. The public is visibly intrigued and the media has covered the story as eagerly as our national campaigns. Who were involved? Who is the mastermind? Who are the hackers and how did they get past the U.S. financial system’s safeguards? What does the branch manager know? Are bank officials involved? Who profited from this audacious crime? Is there a political angle to this heist? These and many more questions have our minds occupied and keep casual conversations lively and engaging. We are hopeful that throughout the course of our investigation in the senate, the truth will be revealed, the perpetrators will be brought to justice, and most of these questions will be answered. But, sadly, no one is asking about Bangladesh. So for the next few paragraphs, allow me to write about the real victims of this crime – the Bangladeshi people. There are nearly 160 million people in Bangladesh as of 2015 with over 30% or 48 million living in poverty. In the 2015 Rankings of the Poorest Countries in the World based on GDP, Bangladesh ranked 46th poorest, while the Philippines ranked 68th. Like in the Philippines, Bangladesh is dealing with issues that are rooted in poverty, such as hunger, sanitation, improved access to education, severe congestion of urban areas, and delivery of basic government services, among others. The Bangladesh government and civil society groups are aggressive in their efforts to create better opportunities and greater wealth for the masses and they have churned out interesting, effective solutions. The government has also made leaps in improving access to government services with their ‘Digital Bangladesh, Vision 2021’ program that seeks to make all government services, public records, and even text books accessible through online channels by 2021, which sounds like the Freedom of Information (FOI) and the Open Government Partnership efforts. They hope that ICT and an all-encompassing digital system in government will curb corruption – another one of our common adversaries. Naturally, like in the Philippines, there is still a lot of work to be done before Bangladesh can eradicate poverty. But a key element to getting things done is adequate funding. Can you imagine how far the stolen 81-million US dollars, which is equivalent to 6.35-billion Bangladeshi taka, could have gone to address hunger, livelihood, education, or health? Now imagine if the tables were turned. Think of billions of pesos worth of Philippine tax money stolen and siphoned off to the pockets of unscrupulous foreigners. Billions of pesos that could have been used to fund infrastructure projects, livelihood programs, or improvements in government services are hacked then digitally wired to foreign nationals. Picture the outrage in our streets and the frenzy on our social media feeds. What racist remarks will spew? What will the Philippine public demand? And what could ever appease hearts broken by this injustice? Many of us, including politicians like myself, are caught up with the audacity of this heist, the intriguing anecdotes of the revealed personalities, and the tarnished image of the Philippines. It is our nature to focus on the Filipino side. But as a member of the global community and as a country known for its heart and compassion, we must realize how valuable the stolen money is in improving the lives of the millions of poor Bangladeshis. With this in mind, it is imperative that we continue to push for reforms in our financial system, institute tighter and stricter policies, ferret out the truth, bring the perpetrators to justice, and most importantly return the stolen 81-million US dollars to the Bangladeshi people. Bumper to bumper traffic, honking buses, the scent of exhaust, startling potholes, and the allure of bright billboards… This is the EDSA we experience today. 30 years ago though, EDSA meant something more. EDSA, especially to my generation, meant courage in the face of fear and oppression, unity for a greater good, and the willingness to sacrifice for your fellow Filipinos. EDSA meant People Power. But now, some of our countrymen say that People Power is dead. These Filipinos proclaim that the EDSA Revolution is just a ghost, whose remains have long been buried and its essence wasted. But these Pinoys who have lost faith are mistaken. EDSA cannot die; People Power is in our DNA. Haven’t we all come across the iconic depiction of men and women lifting their neighbor’s kubo on their shoulders, selflessly bringing the house to safety? During times of crisis, when a super-typhoon, massive flood, or earthquake hits our country, don’t we rush to a volunteer center with donations and a strong desire to reach out to those affected? Do we not find joy and fulfillment in building homes for poor Filipino communities, carrying blocks of cement and painting walls with bright, happy colors along with friends from Gawad Kalinga and Habitat for Humanity? These are all manifestations of the bayanihan spirit that is woven into our cultural fabric. Around the country, we find strangers united in noble missions that extend beyond family ties, tapping a shared humanity and nationalism. In the world of social enterprise, I have seen firsthand how social entrepreneurs, government agencies, corporations, microfinance institutions, cooperatives, and NGOs come together to find solutions to lift our countrymen out of poverty through business. These mini-movements transformed the lives of the farmers turned agri-preneurs in Nueva Ecija, who now supply to Jollibee, the urban artisans of Rags2Riches, and Hapinoy’s successful sari-sari store owners. In the youth sector, we see organizations made up of eager young Filipinos seeking to uphold noble values and uplift marginalized sectors. Every year since 2002, we would award the Ten Accomplished Youth Organizations (TAYO Awards) and, just this year, we met the SOLACE organization that protect the rights of forgotten Filipino detainees in Mandaue City as well as the Kanlaon Theater Guild from Bacolod that educates communities on disasters through their talent, creativity, and volition – just two of thousands of youth organizations that have joined the TAYO search. Finally, when the legislature was rocked by the Napoles-PDAF scandal two years ago, we still saw thousands upon thousands of our countrymen congregate to decry the corruption and push for reforms in an overly abused system. The commonality is, much like in the EDSA Revolution, these people took matters in their own hands and took a collective stand, not against a dictator, but against violence, poverty, corruption, and suffering. These are modern-day examples of the EDSA spirit, the bayanihan instinct, and People Power. Call it what you will, these revolutions, however sizable or small, are alive and thriving in the Philippines. And to deny that this exists is simply misleading and fraudulent. Much has changed over the last 30 years. From being one of the poorest countries in the 80s, we are the fastest growing economy in the ASEAN. Then considered one of the most corrupt countries in the world, we have pushed for justice against the most powerful in all of the three branches of government. People Power has also evolved from being centralized and primarily focused on political reform to one that includes a social and economic agenda and is dispersed throughout our country. Historically, People Power was the well we drew upon when things took a turn for the worst; when corruption was at its highest, the rule of law least respected, our human rights and freedoms abused and trampled upon by the few for their own gain and benefit. The challenge today is to evoke this revolutionary spirit not only in times of crisis, but in moments of opportunity as well. The challenge is to never forget that there is greatness in us. And that if we stand together, much like 30 years ago at EDSA, even the most insurmountable can be overcome. These days, a sure-fire conversation starter and no-fail small talk topic is Metro Manila traffic. Whether on the level of carmaggedon or on a surprisingly light drive along our major thoroughfares, we are consumed with the state of traffic in the metro. It contributes so much angst to the urban psyche that rush hour on our roads result in a flood of raging rants on our social media feeds. It spawns applications like Waze and websites like Sakay.ph while constantly aggravating the growing animosity between public transport drivers and the riding public. In fact, this may be the first time in our country’s history that traffic can be an election issue, at least in Metro Manila. Previously, we wrote about how each of us, whether motorist, passenger, pedestrian, or traffic enforcer, are either contributing to the problem or taking part in the solution. We found respite in the Highway Patrol Group’s (HPG) strict enforcement of road rules and hoped to build a law-abiding culture of courtesy among drivers and commuters. We wrote about this last year and commended traffic enforcers and motorists alike for working together and alleviating traffic during those months leading up to the APEC. However, while strict implementation of rules gave us some temporary hope, the flagrant truth about the Metro Manila traffic issue is that the most concrete solutions to this problem will take a lot of time, a lot of work, and a lot of money. For a sustainable, long-term solution, we need forward planning and the political will to decongest Metro Manila. We need to expand development beyond the National Capital Region and ensure that jobs, education, and access to social services are spread out throughout the country. People will always prefer to settle close to where opportunities are, whether it’s a new job, good school, or even access to quality medical services and thriving commercial centers. By ensuring these developments sprout in more pockets outside Metro Manila, we can draw people and businesses out from congested urban zones and, at the same time, bring progress to more and more Filipinos across the country. One promising project is the Clark Green City which spans 9,450 hectares in Central Luzon – over 100 kilometers north of Manila and 90 kilometers from Subic Bay in the area of Banban and Capas. To put the size of this new city in perspective, the Clark Green City is even larger than the Manhattan borough in the State of New York. This trillion-peso project has a 30-year master plan and is expected to house over 1 million residents and generate employment for 800,000 workers by its completion. The development is led by Bases Conversion and Development Authority (BCDA) who is also responsible for turning Fort Bonifacio into today’s sprawling Bonifacio Global City (BGC). Now, they set their sites on creating a smart, green, and modern metro in Central Luzon that is almost 40 times the size of BGC. This is one way, if properly implemented, to expand development beyond Valenzuela, all the way to parts of Tarlac. In the south, we are already seeing the development of Laguna now with a number of subdivisions, access to quality education, a flourishing commercial area, and large companies setting up offices, providing jobs and livelihood. Perhaps we just need an extra push to get companies to move from Makati, Ortigas, or BGC to new areas like Laguna and the Clark Green City. Can you imagine if developed spots in Luzon spanned from Tarlac to Batangas? Can you imagine if those of us living in Metro Manila seriously considered moving to these new areas of development, having people migrating out instead of in? If we effectively develop more of these communities and spread opportunities geographically, maybe then we can decongest Metro Manila and ease our traffic woes. By no means is traffic just in Metro Manila. Some friends in Cebu have spoken to us about their traffic problems, but maybe this long term solution of developing outside of traditional urban areas can also be applied there. In the coming years, we should look forward to and even demand expansion beyond the city center. One can only imagine how different and how much more improved the Philippines can be when this happens. The truth about traffic congestion in Metro Manila is that each of us, whether motorist, passenger, pedestrian, or traffic enforcer, are either contributing to the problem or taking part in the solution. There are factors beyond our control like the 2.5 million vehicles registered in Metro Manila and our daytime road population reaching 14 million. We must also expect the number of vehicles to increase in the next years together with the number of infrastructure projects in Metro Manila that are necessary to keep up with the country’s growth and development. But when it comes to certain choke points and problem areas along our main thoroughfares, we can agree that heavy traffic can be avoided with discipline, obedience, and road courtesy. It need not be as bad as it is – and we’re seeing evidence to support this. Since the intervention of the government’s task force on traffic, there are good indications that we can improve the traffic situation. In the hopes of mimicking the success of Manila’s port decongestion last year, we filed a Senate Resolution seeking to formulate strategies and solutions to address the worsening traffic conditions and called for public hearings, which serve as a venue for stakeholders to work together and implement solutions. We are hoping that the hearings at the Senate can help smoothen the alliance among the various agencies and apply the necessary political pressure while involving the public in finding solutions to this issue. The unified objective is to fortify effective traffic decongestion strategies by the time we host the Asia Pacific Economic Cooperation (APEC) and experience the rush of the Christmas season. Though it may be premature to proclaim success, the results from the first weeks are encouraging. The task force on traffic has already implemented initiatives and interventions to ease our traffic situation. We witnessed the Highway Patrol Group (HPG) take the reins to strictly enforce existing traffic rules equally among motorists and public transport vehicles, even penalizing fellow policemen caught breaking the law. The HPG will now supervise personnel from the Metropolitan Manila Development Authority (MMDA) as they pass on operational control. When it comes to the buses along EDSA, government agencies are keeping a watchful eye on their traffic flow to make changes on locations of loading bays, if necessary. Illegal vendors and illegally parked vehicles have also been removed with the help of the local government units so they do not impede the flow of traffic. Seeing various agencies of government working together fluidly to pursue a common objective is heartening and we are interested to see the implementation of other planned interventions, such as the truck ban, staggered work hours, special Christmas lanes, and APEC VIP lanes. The next issue to solve is the very real problem of conveniently moving people en masse and not just improving the movement of private cars. To improve our road efficiency, we must attract more Filipinos to take mass transport like buses and trains. Carpooling is another intervention that can contribute to the decongestion of our roads and this can be incentivized with the creation of special lanes for high-occupancy vehicles. As we work through the “-ber” months, we can expect the task force to implement these interventions across the metro and maintain strict enforcement of traffic rules. But it will take the collective effort of the government, private sector, and general public to generate lasting, sustainable solutions. The truth about Metro Manila’s traffic problem is that we need the participation of motorists, commuters, and public transport groups, along with our enforcement agencies to form a considerate, law-abiding culture that will benefit everyone in the long run. Can we rebuild the trust between traffic enforcers, motorists, and the commuting public? Can each of us do our part by becoming responsible, courteous Filipinos, particularly during our daily commute? 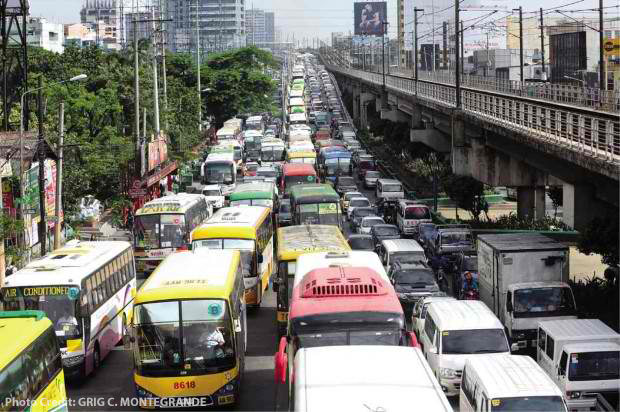 Instead of being part of the problem, can we, instead, be part of the solution to Metro Manila’s traffic woes? A few months ago, a tito of mine asked me about what we have been working on in the Senate. I told him about the Negosyo Centers being put up around the country and we discussed the challenges and implications of the Philippine Competition Act – 30 years in the making and now, finally, ratified and waiting for the President’s signature. I teased that he should be more tech-savvy and make a Facebook account so he could like my page and get updates on his virtual newsfeed. Indeed, the Internet is a great equalizer that allows us to pick and choose what to see, read, and share. We can find any sort of information online, from conspiracy theories to the cutest cat videos. The only question is: what are you interested in? But, truth be told, while it has been a struggle getting our policies and advocacies out in mainstream media, an even bigger challenge is getting the public interested in the policy discussion. Since the corruption scandal erupted last year, our headlines seem to be hijacked by Napoles and the PDAF scandals, Makati City Parking Building II investigations, the Mamasapano tragedy and the BBL, and, more recently, survey results and the 2016 elections. Even on the Internet,where we curate our own personal newspaper, people seem disinterested in anything but the scandals,complaints, fights, and government slip-ups. While these issues are worthy of attention, we need to fuel our desire to move the discussion further into the much-needed reforms and systemic changes. Take the news on the potential candidates for the 2016 elections as an example. No one is asking questions about their vision, goals, and dreams for the country and how they hope to achieve them. The country is growing leaps and bounds economically while making significant strides in curbing corruption within the government. How will they distribute this wealth throughout the sectors and continue the battle against corruption? There have been landmark bills passed into law under the current administration, from the K-to-12 basic education program and the RH Act to the opening up of our ports to foreign ships and the Philippine Competition Act. How do they ensure these are implemented well? Where do they stand in the Mindanao peace process and the Anti-Discrimination Act filed in Congress? How do they hope to unite the country, instill tolerance among our people, and bolster human rights in the Philippines? We have yet to ask these questions. But will the answers even be considered newsworthy? Media outlets, including online and social media, will give the readers what they clamor for. It is our likes, shares, comments, re-tweets, and hash tags that will determine the headlines. Our collective chatter will define what is newsworthy. The Filipino people have peacefully rallied for their rights against an intimidating dictator and have cried for a change in system, reinstating democracy.We have pushed for justice against the most powerful in our country including sitting Philippine presidents and even a Supreme Court chief justice. 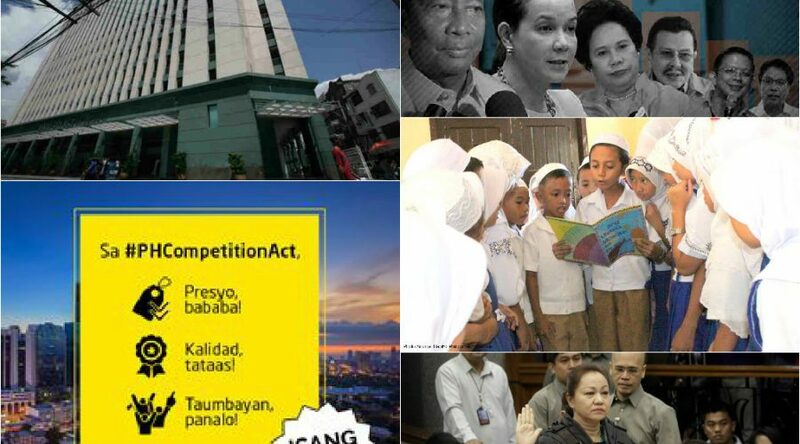 We have even called for a change in entrenched systems, successfully abolishing the PDAF. Is it then too far to hope for our countrymen to seek for concrete, detailed platforms, and sophisticated policies among our leaders? We have the power to influence the narrative of the 2016 elections. We can ask our presidentiables questions about their stance on controversial issues. We can demand a concrete platform detailing the policies and programs they wish to put in place to create a better future for the country. We can even hold them to their word and police their administration once they are elected into office. With our voices and with our votes, we can endeavor to shape the future of our country.We can steer our country in the direction of unyielding public service, inclusive progress, and prosperity for all.That would, truly, be newsworthy.